Hey there my friends, your girl is back. I apologize for the delay. After a whirlwind week of hurdles that life loves to offer and an ailment whipping my tail, I’m pumped with meds and ready to bring you some aural stimulation worth checking into. Ok, he may not be new to you, but he is to me. This handsome cat above has music royalty emanating from his pores. 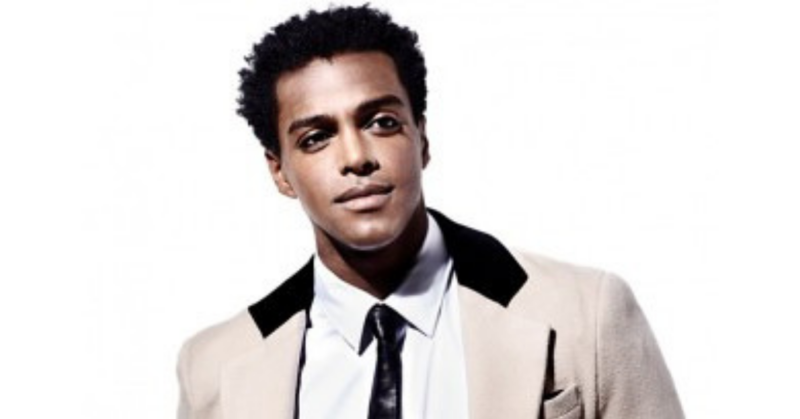 Meet Austin Brown singer/songwriter/performer/dancer/producer and musician. He also happens to be the son of our one and only classic “Centipede” loving diva, Rebbie Jackson. Brown lists Prince, George Michael, Lenny Kravitz, New Edition and a bevy of other artists in various genres, as musical influences. As a child, Austin was taken on tour with both his Uncle Michael and Aunty Janet and there’s no doubt a lot of the magic from both of his family members has definitely rubbed off. As a teenager, Austin studied with Mr. Wiggles from The Rock Steady Crew to keep his dance moves on point and he attributes gymnastics to what keeps him limber. He continues to push himself and is furthering his dance techniques with choreographer Jamal Sims. If he’s taken notes from his uncle and aunty as we hope he has and mixes that with his innate talent, it should be some kind of wonderful once Austin steps on a dance floor. I believe if someone like Prince gives you advice to continue doing you, you should take heed and keep on marching along your path, regardless of who you are or your namesake. Austin Brown is off to a great start, looking to carve his place in the pop world. There’s more to come from this talented dude, with the release of his upcoming debut album “85.” Let’s keep our eyes and ears peeled – shall we?